In the recent two to three years, the online casino gambling industry has gained worldwide popularity to a larger extent. Online gambling began in 1994 with the Free Trade and Processing Zone Act passed by the government of Antigua. Many online casinos today still operate under this Act. Year 1994: Microgaming was invented which is one of the largest online gambling software developer and supplier. Year 1995: Cryptologic was founded. It is a company designed to develop software packages to process the gaming transactions securely. Year 1996: Boss Specialtidningar AB began the development of a system for online casino operations. Microgaming began the development of online casino technology. 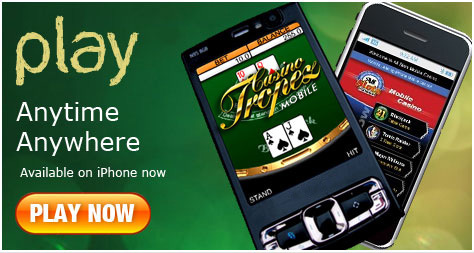 And Intercasino claimed to be the first internet casino to accept real money for playing. Year 1997: Boss Casinos in Antigua Barbuda was sanctioned online gambling. Year 1998: Microgaming launched the first online progressive jackpot slot named Cash Splash. The Internet Gambling Prohibition Act was also introduced in the United States. And the online gaming industry generated $834.5 million revenue. Year 1999: Lasseter’s, the first Australian-licensed Internet casino was sanctioned. In this year approximately 700 Internet casinos bets were made online. Also some new gaming software were introduced with multi-player functionality. Year 2000: The Australian Federal Government passed the Interactive Gambling Moratorium Act. Lasseter’s Online became the only online casino which was allowed to operate in Australia under the new legislation. Year 2001: Up to 8 million people were estimated to have gambled online with real money. An online gambler won $414,119 playing slots at a Caribbean online casino which largest online win up to that date. Year 2002: The first win of over $1 million in an online casino jackpot, was won while playing a progressive slot game at Captain Cooks Casino. Year 2003: eCOGRA i.e. eCommerce and Online Gambling Regulation and Assurance was established whose aim was to regulate safety and security guidelines for the member sites. Also Chris Moneymakers won the 2003 World Series of Poker. Another development in this year was the launch of “Live Gaming” which was a real-time, video-streamed game featuring live dealer with the ability to play one-on-one. Year 2005: The Progressive Jackpot totalled more than $160 Million and had over 5,000 Players. Also a Florida resident won nearly $2 Million playing Gold Rally, one of the Progressive slots at Carnival Casino. Year 2006: The US Senate passed the Unlawful Internet Gambling Enforcement Act 2006 (UIGEA) in response to the 9/11 terrorist attack to prevent terrorist Organizations from using online casinos to launder money. Modern online gambling has gone through drastic changes from its original form. Gambling history online figures out some facts in the development of gambling casinos. With online gambling history, one can differentiate the current version of gaming from its original form.